This market is only available on Wednesday; it’s one of the smallest local markets in the area, which locates in a beautiful landscape. The market still keeps its original aspect as it is. 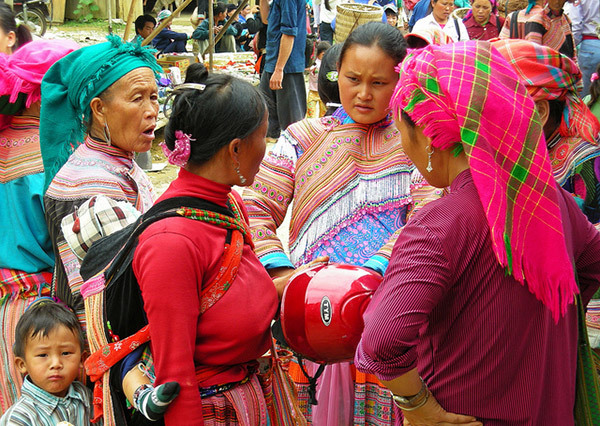 Here you will meet Flower Hmong , Black Dao, Tay, Nung minorities. After meeting a guide at the Lao Cai railway station we have breakfast there and go to the Cao Son Market for two hours by a van. 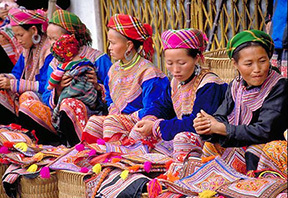 You will enjoy beautiful scenery along the ride until you arrive in Muong Khuong. From there, you turn in a dirt road, which goes up in mountains. Pine trees forests and villages surround the tinny market. 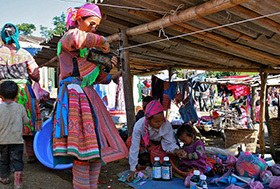 Flower H’mong, Black Dao, Tay, Nung ethnic minorities come to buy and sell local products such as food and material for agriculture and fabric. People coming to the market not only for selling or buying something but also importantly to meet friends, relative and to sip some cups of wine until the dawn comes. No where else but here, Flower H’mong people greet you with a temptation of corn wine and endless hospitality. 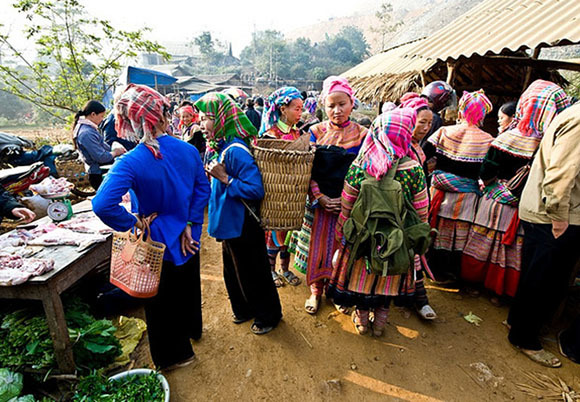 After exploring the market, you will be able to visit a village of Flower H’mong or a village of Tay people. 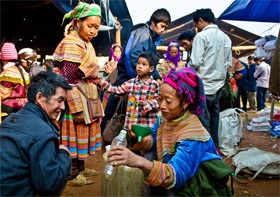 You will then head back to Muong Khuong and have lunch in a local restaurant. After lunch, you get on the car for journey back to Sapa. Overnight in Sapa.